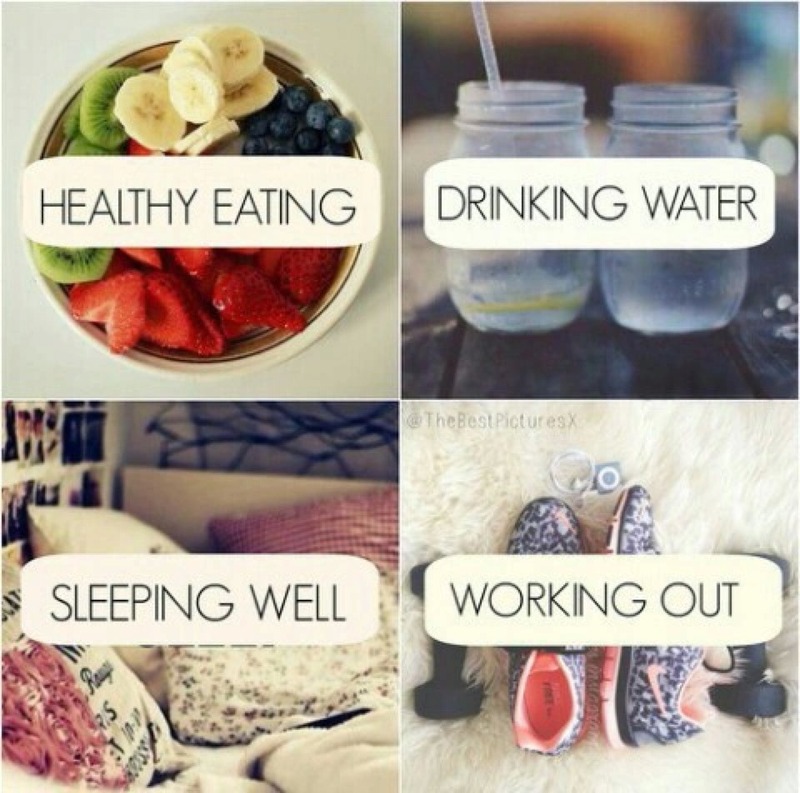 Simple & easy tips for a healthier routine. After some months living in the big city and travelling often (plus, weekends spent in my hometown visiting the family) I realised I did start eating healthy but paused it and turned a bit lazy in the kitchen, plus I have the feeling I spend the whole day sitting at the office so since I have to be "resting" for long hours and believe me 1h of gym daily can't help much - I should follow some health tips on my snacks and eating routines. Many of you ladies may relate to this since whenever the topic came up most of my friends agreed and the conversation turned into a mix of complaints and solutions, so here is a list I am willing to take seriously from this weekend on. This is not about weight loss but feeling better (skin, body, hair, nails, etc.). I actually already started taking up some of these habits and truth is I like them in my daily life. So my "challenge" is to at least do these for 21 days straight since you know what they say.. it only takes 21 days to build a habit:) So far.. day 1: check. MORE WATER. I have been told about this many times, and although I do not drink sodas or any drinks other than water, some juices and coffee during the day, truth is I don't really drink as much water as I used to. Tip: always bring a bottle in your bag, have another at the office and of course at home. SLEEPING 8H: well well well....not getting started into that but yes this is something I started to take on and tried many things to fight my sleeping problems, -I am lately going to bed quite early and it's starting to work (relaxation audios help hihi). NEVER SKIP BREAKFAST: Breakfast is my most sacred meal of the day, the one I never skip and the one I think I eat the most. I was told to drink water before the coffee (though I always do the other way round) and to switch coffee for green tea but honey that is NOT happening. Also, adding lemon to morning water can help your body to wake up and boost metabolism. 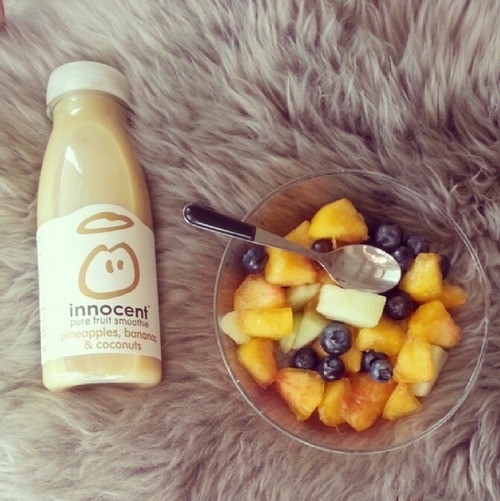 EATING: KNOW WHEN TO STOP. I am guilty of finishing my meals even if I don't feel like to. So from now on I will try to eat until I feel 80% full. DINNER AT LEAST 3h BEFORE BED: hard for the southern Europeans huh? This one is working well for me lately, I started having dinner around 7-8h and I feel better during the night. If I get hungry of course I have some snack (best options are fruit or ioghurt). EATING MORE FREQUENTLY: smaller portions of food but every 3h instead of big meals every 5 or so. I usually have breakfast at 7h, and bring some fruit to the office to eat it around 10-11h, lunch around 13-14, snack at 17 and dinner at 19-20. EXERCISE: it does not mean gym every day. I try to make it to the gym 3 times a week and when I don't feel like going I do some exercise at home (light of course). DON'T RULE OUT CHOCOLATES: not saying you can go loco on the junk food but if you are really craving for some you shouldn't torture yourself and can have it once a week or can have some small dose of dark chocolate daily. Well babes I hope more than one joins me into the healthy habits routine, which I find easy once you set your mind on it and if it only takes 21 days to start a routine, let's cross the days on the calendar from today on!